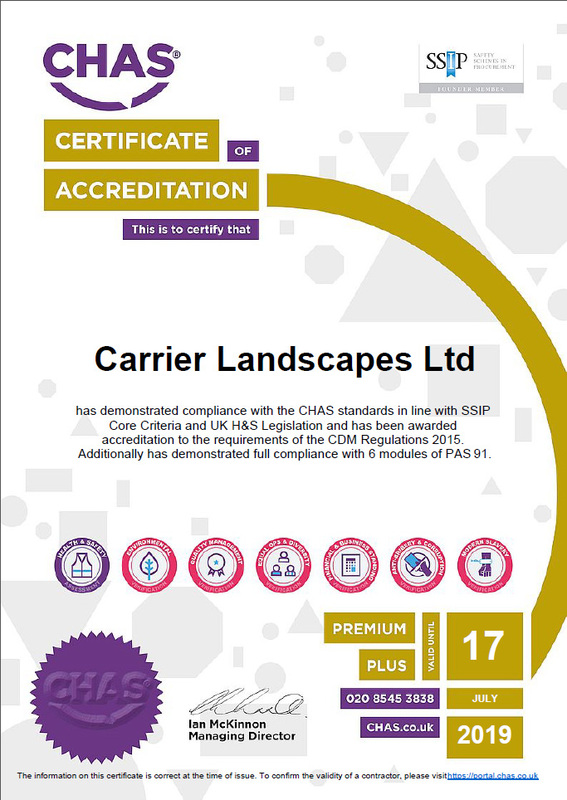 We are delighted to inform you that Carrier Landscapes have been Approved for CHAS Premium Plus. Our team have been assessed and verified, and have been deemed compliant against the CHAS standard. Well done to eveyone involved in achiving this certificate.